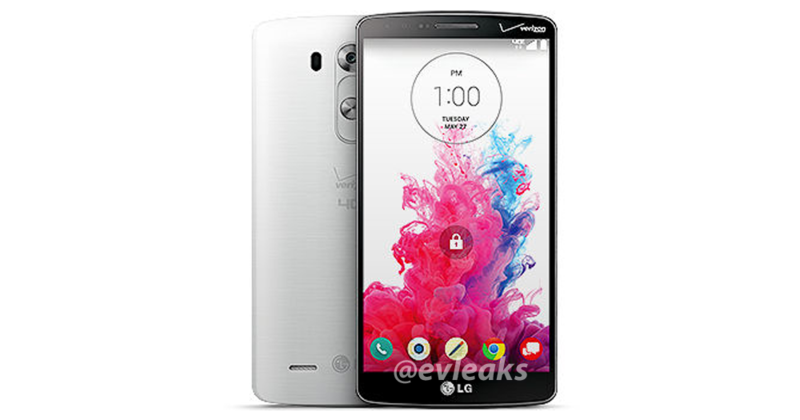 Waiting to see what type of branding Verizon would throw onto the LG G3? If this render from @evleaks is legit, then you now have your answer. The G3 looks to sport almost identical branding as the G2 on Big Red did last year, with two logos on the backside, and one on the front. However, in a bit of good news, it appears Verizon has decided to use the same rear buttons that we have seen in previous leaks, which is a good thing. Last year, they used alternate rear-facing keys which did not look too hot. We know Verizon loves covering up the backside in Verizon and 4G LTE branding, but the only real downer is that they felt the need to place a logo on the top right corner again. It really throws off the overall clean look of the frontside.